If you are having problems with your Takagi water heater, the problem could very well be a clogged flame sensor. Flame sensors are metal cylinders that touch the flame of the water heater and tells the control board if the flame is on or off. It is a metal cylinder with an approximate width of ¼-inch and length of 1 to 2 inches. The exterior of the flame sensor gets covered with deposits and needs to be cleaned in order for it to work properly. Turn off the main gas valve connected to the Takagi water heater. Unplug the water heater from the electrical outlet. Turn the screws in the case in a counterclockwise direction and remove the screws from the case, using a screwdriver. Locate the manifold of the water heater. The manifold is the rectangular piece that covers the combustion chamber. Turn the screws in the case in a counterclockwise direction and remove the screws from the manifold. Place the manifold in a safe place. 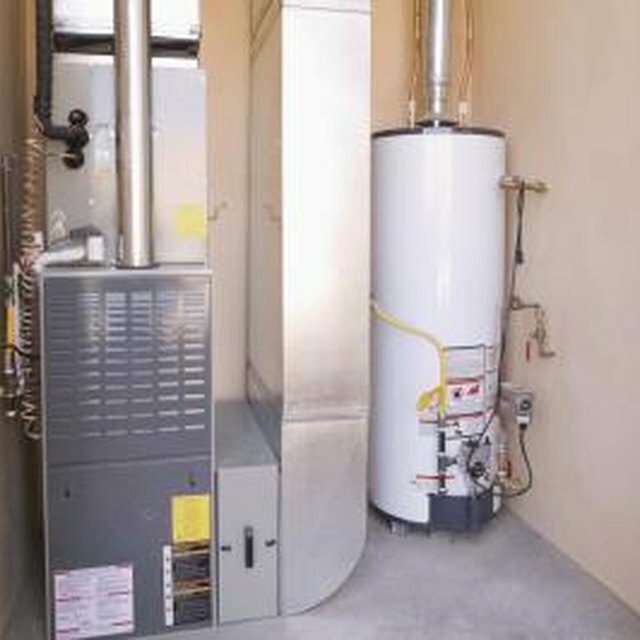 Locate the damper of the water heater. The damper is the thin rectangular piece with multiple holes. It is located behind the manifold. Turn the screws in a counterclockwise direction and remove the screws from the damper. Place the damper in a safe place. Locate the flame sensor. The flame sensor is located in the center of the combustion chamber. Turn the flame sensor in a counterclockwise direction to remove it from the combustion chamber. Pull the flame sensor backwards to remove it. Rub the exterior surface of the flame sensor gently with steel wool to remove the deposit around the sensor. Insert the flame sensor back into the combustion chamber. Repeat Steps 1 to 4 in reverse order to reassemble the water heater. Wear heat resistant gloves when handling a flame sensor.